The end of the millennium was an exciting time for would-be desktop music makers. It had been only a couple of years since the release of ReBirth RB-338 from Swedish developers Propellerhead, a product that proved that native synths could be used in real time - and sound good. Meanwhile, Germany’s Steinberg were attempting to expand their VST plugin format to include instruments, a mission accomplished with the VST 2.0 standard in 1999. Another little German company had caused a stir with a software modular construction kit called Generator and its stablemate, the sample-based Transformator. It was when the company merged the two products into a unified system dubbed Reaktor 2.0 that things really got interesting. Yet there was still something missing - it was only when the core technology of one more product was added into the mix that Reaktor would become the program we know and love. That product was SynC Modular. A Windows-only affair, it strongly resembled Reaktor in that it offered a full collection of low-level components that could be combined and connected with virtual patch cables. The brainchild of Russian developer Vadim Zavalishin (aka Dr SynC), SynC Modular hit the web in 1999, and thanks to its lower price, became a go-to for cash-strapped bedroom boffins who could afford neither Reaktor nor an actual modular synthesiser (rare in 1999 anyway). Thanks to its flexibility and a growing community of users, it gained serious attention from serious synthesists and sound designers, too, among them Guilherme Kallfelz and Luigi Felici, who would build and sell some interesting Sync ensembles under the brand name of DashSynthesis. Kallfelz would eventually develop Wusik Station, while Mr Felici would become the main man behind NuSofting. These two budding builders weren’t the only ones paying attention. Indeed, Native Instruments themselves began to take notice of SynC Modular and its uncomfortable resemblance to their flagship product. Rather than going toe-to-toe in a battle over superficial similarities, NI made the smart move of bringing Dr SynC into the fold, putting him to work on the next major overhaul of Reaktor itself. The best bits of SynC Modular’s code would be assimilated into the Core technology that powered the upcoming Reaktor 5, released in April 2005. As expected, development on SynC Modular ceased and the product was no longer offered for sale after 2003. Yet this wasn’t the end for SynC Modular. In 2010 - and much to the delight of the devoted users who’d long since given up on the platform - SynC Modular re-emerged as freeware. Still Windows-only, and looking as if it hadn’t aged a day, the site and its forum are still active, bustling with excited users swapping the products of their Sync Modular sessions. These days, there are plenty of alternatives, but the original still inspires those looking to cobble together their own complex musical contraptions and, we dare say, still holds up to competing commercial products. The obvious commercial alternative to SynC Modular, Reaktor’s cross-platform status and massive user library of high quality ensembles give it an edge over SynC Modular, though Sync comes out in front for price! Still, $199 for access to all of that power and thousands of instruments and effects makes Reaktor a bargain by any measure. Released to the public in 1999, SynthEdit caused quite some excitement when it was updated to v0.59 in 2002. A software modular environment for Windows, the 2002 incarnation was the first to include the ‘Save As VST’ option, and gave rise to a deluge of free and commercial plugins by would-be developers. Still Windows-only; still powerful. 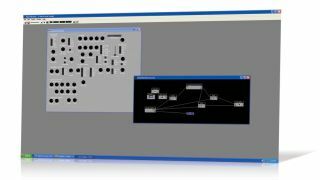 A modern modular software synth modelled after the wildly popular Eurorack hardware format - there are even 1:1 virtual versions of popular Eurorack modules available as Rack plugins! 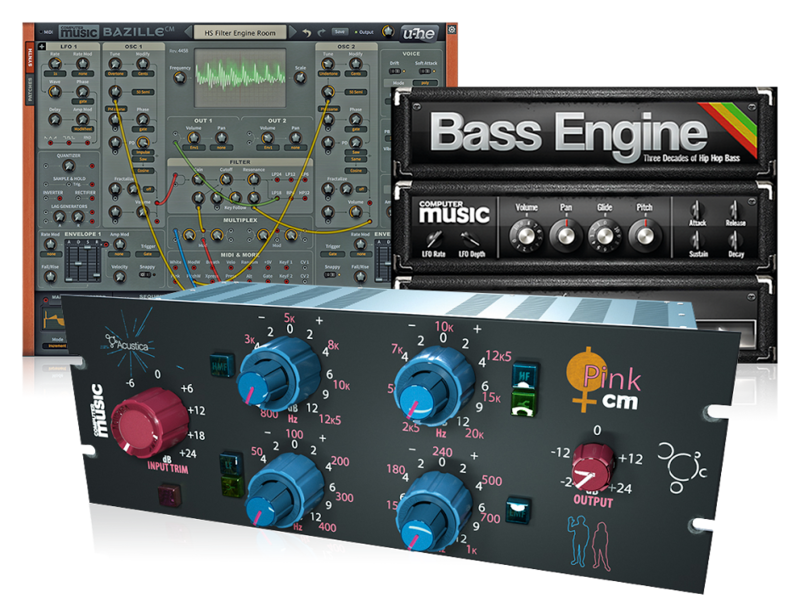 Inspired by hardware systems, it’s not as deep as Sync Modular, but a growing list of free and commercial modules from VCV and others means there’s plenty of fun to be had.